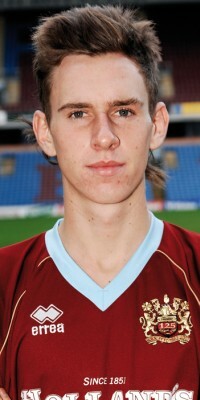 It’s hard to believe that it’s eleven years since Mark Randall came to Burnley on loan from Arsenal. He arrived at Turf Moor on the last day of January, 2008 in a loan deal until the end of the season. It didn’t quite work out for him with the Clarets; the then 18-year-old made just ten appearances for us but all but two of those, at Stoke and Crystal Palace, were from the substitutes’ bench. He subsequently had loans with his hometown club at Milton Keynes followed by Rotherham before he moved to Chesterfield on a free transfer in the summer of 2011. His 28 league starts in two years at Chesterfield is the most he’s played at any club and since leaving them in 2013 he’s played for Ascoli, MK, Barnet and Newport before moving to Crawley in the summer of 2017. He’d left Newport a couple of days before for personal reasons. He’d played an important role in keeping them in the Football League under new manager Michael Flynn but wanted to move closer to his home in Buckinghamshire with a second child on the way. Everything looked good at Crawley under new manager Harry Kewell. He played over half of their games last season but he’s been out in the cold since Kewell left and hasn’t featured in their league team since early October. The timing seems strange. Having been with Crawley since the closing of the transfer window I believe that prevents him joining another club until the next window opens. He is one of only two players to have played league football for both Burnley and Crawley; the other is Brian Jensen who was with Crawley in the 2014/15 season.